Warlock is getting some new fire power. 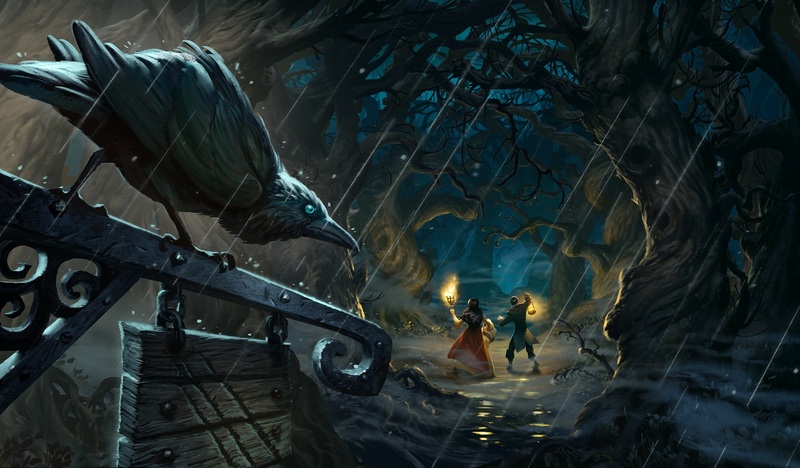 Three new Warlock minions have been revealed from Hearthstone‘s next expansion. While most cards are revealed individually, this time the cards were revealed as a batch of three—and all three of the latest Witchwood cards are Warlock cards. 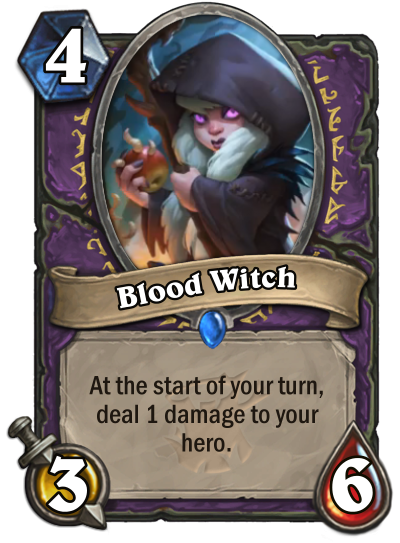 Let’s start with Blood Witch, a four mana 3/6. At the start of your turn, it deals one damage to your hero. That effect is similar to Kobold Librarian and Vulgur Homunculus, two cards from the Kobolds and Catacombs set. That deal damage effect is really important, because it brings the Warlock Spellstone online. With these cards, you start to see the point of the Blood Witch effect. Normally your opponent might be happy to leave Blood Witch on board and let you take damage. But if your opponent knows you have cards like Duskbat they might think twice. Three mana 2/4s have a long history of being strong, and this one certainly has the potential to be too. It could come after a Blood Witch turn, or on the same turn as a Librarian. When you see a second card in this vein, you see the flavor Blizzard is trying to push for Warlock this expansion. 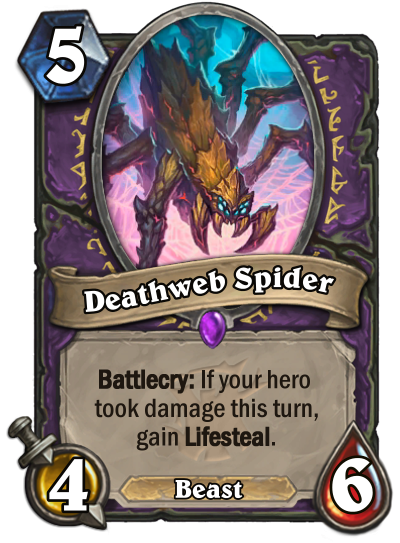 This time it’s a five mana 4/6, a decent amount of stats if it does get the Lifesteal effect. 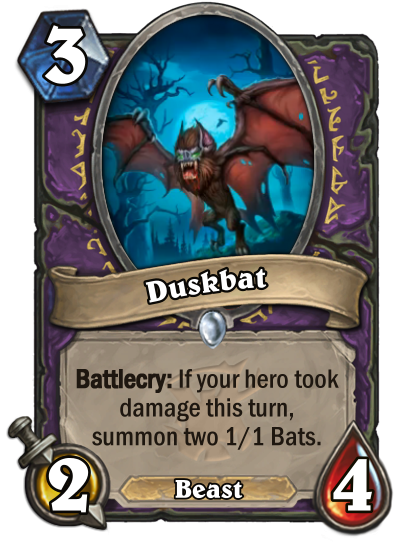 The Duskbat feels stronger, but this could also help with board presence in the mid game.